Latest rumors say that RIM and Verizon Wireless are preparing to launch the BlackBerry Torch 9850 in stores starting next week, probably on September 8th. The wireless carrier plans on making the new device available via Direct Fulfillment (Web and phone sales) on September 8th and for purchase via its stores on September 15th. The BlackBerry Torch 9850 should hit other retail channels as well on this day, it seems. 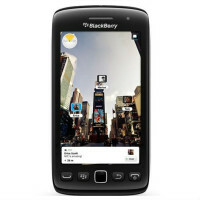 BlackBerry Torch 9850 features a 3.7-inches touchscreen with 480 x 800 pixels resolution, 768 MB of RAM, 1.2GHz processor. Other specs include a 5 megapixels camera capable to record HD videos at 720p resolution. No words about price, but Verizon it might announce it soon, so stay tuned.